What would be required for the Baltic states to meet their climate and energy targets in 2030? Are they likely to reach these targets without additional measures? And if the Baltic states manages to fulfil the their national targets, as well as the 2030 EU targets, would this lead the countries towards a a 2°C pathway? 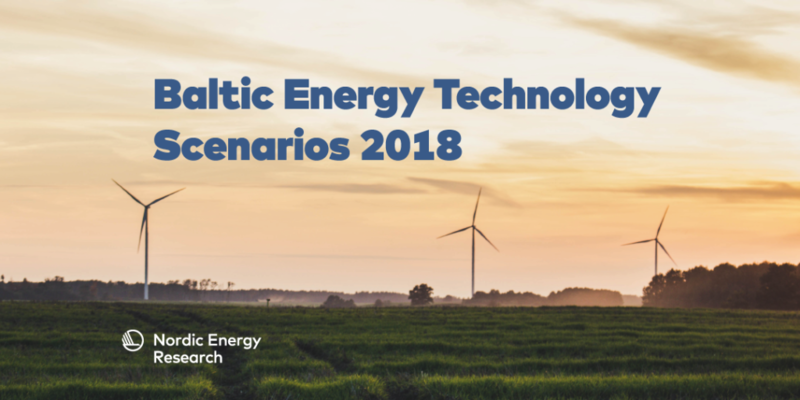 In Baltic Energy Technology Scenarios 2018 (BENTE), we try to answer these questions. The report is coordinated and supported by Nordic Energy Research, and carried out by VTT Technical Research Centre of Finland and Ea Energy Analyses, in cooperation with leading Baltic research institutes. We hope you enjoy reading the report, and that it will add value to the discussion on energy system solutions for the Baltic states.